Busselton has plenty of places to see and there are many proud locals who want to show you the sights. A tour guide will ensure you see all the secret spots and have the best trip possible. Tours are a great social activity and a chance to meet fellow travellers. It's also worth knowing what to see on your own and where to eat. Located in Vasse Business Park between the Vets and the Printer. From Margaret River, from Bussell Highway turn Right onto Northerly Road, and then Turn left onto Lynwood Street and Left onto Burler Drive. Our bikes are located adjacent to the Busselton Visitors Centre and Busselton Jetty on the Busselton Foreshore. Turn off at roundabout to Busselton, continue down Causeway Road, drive over the bridge and turn left on to Peel Terrace, first driveway on left is our carpark. Note: large vehicles and caravans please see the sign for the designated overflow area. Pickups from Busselton to Dunsborough at accommodation locations along Caves Road. Pickups from Margaret River available on request and are subject to availability. From the centre of Busselton, travel east along Peel Terrace, this turns into Layman Road, Wonnerup House is located 10kms east just before the Tuart Drive. Travelling south from Perth look for the 'alternative scenic route' travel through the Tuart Forest and wonnerup house in on Layman Road. Plenty of parking for cars, bus and caravans. 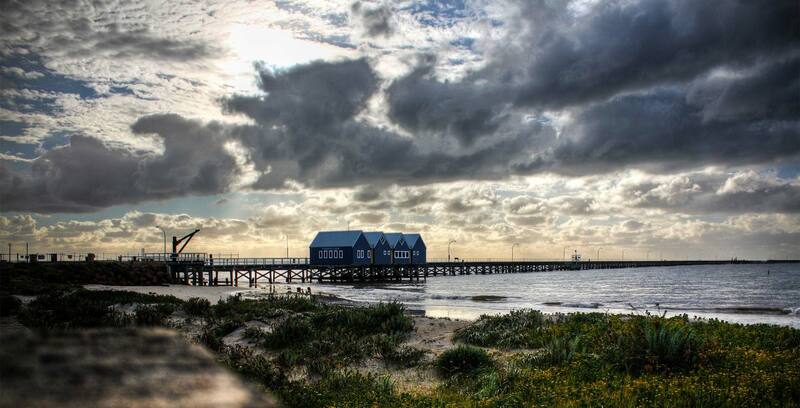 Head to the Busselton Foreshore and the Busselton Jetty Interpretive Centre where the jetty meets the shore. Then head out along the Jetty to just before the Underwater Observatory. (Its about a 25 minute walk or you can catch the jetty train - ticket not included. Located 250 km South of Perth on the Vasse River. Ten minute walk to the heart of town and two minute drive to the famous Busselton Jetty to visit the underwater observatory. Pick up from and return to to your accommodation inclusive in the Margaret River Region: Busselton - Dunsborough - Eagle Bay - Yallingup - Margaret River - Prevelly - Gnarabup. Enjoy a day being chauffeured ! You travel in small groups of 13 guests or less. Larger groups can be catered for - contact us for details. Located a leisurely 2 and half hours drive southwest of Perth, Western Australia through the coastal towns of Mandurah and Bunbury.. We are approx. 6.5 kms from the Busselton town centre driving south along Bussell Hwy toward Dunsborough. Located on the right hand side of the Highway. The Geographe Bay &Margaret River region is situated 280 kilometers or 3 hours south of Perth via the freeways. 100 kilometers south of Bunbury or approximately 1 hour and 15 minutes via Bussell Highway. 60 Kilometers from Bunker Bay or 55 minutes via Caves Road .If coming from Pemberton to the South East its 140 Kilometers or two hours. There are accredited visitor centres in Busselton, Dunsborough, Margaret River and Augusta from which we can arrange pick up. We offer a door to door pick up from Busselton, Dunsborough, Yallingup, Margaret River. Please advise at time of booking. Ngilgi Cave is 5 minutes drive from Yallingup, or 10 minutes drive from Dunsborough along Caves Road. Just 2.5 hours drive south of Perth, the Busselton Jetty is situated in the seaside resort town of Busselton, at the northern gateway to the Margaret River region.